GLEASURE, R.; CONBOY, K.; MORGAN, L. (2019) Talking up a storm: How backers use public discourse to exert control in crowdfunded systems development projects. Information Systems Research, forthcoming. CONBOY, K.; DENNEHY, D.; OCONNOR, M. (2018) Big time: An examination of temporal complexity and business value in analytics. Information & Management https://doi.org/10.1016/j.im.2018.05.010 CONBOY, K.; FITZGERALD, G.; MATHIASSEN, L (2012) 'Qualitative Methods Research in Information Systems: Motivations, Themes, and Contributions'. European Journal Of Information Systems, 21 :113-118. 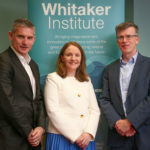 Kieran is leading a multidisciplinary research cluster in NUI Galway on Enterprise Agility involving a team of 18 academic staff, 5 postdoctoral researchers and 12 PhDs. Kieran is currently involved in numerous national and international projects in this area, and has worked or is working with many companies on their agile initiatives including Intel, Microsoft, Accenture, HP, and Fidelity Investments. In association with ITAG, Kieran established the Agile Forum, a monthly research and industry seminar series which attracts between 40 and 60 companies per event. Kieran has held chairing roles of international conferences including the European Conference in Information Systems (Galway 2008) and his research has been published in various leading journals. He is also associate editor of the European Journal of Information Systems, and has been a guest editor on special issues of top journals on the topics such as qualitative IS research and agility. Kieran is currently the Head of Research for the School of Business & Economics. Kierans lecturing activities focus primarily on the areas of IS Innovation, IS Project Management, IS Strategy and IS Research Methods to undergraduate, postgraduate and MBA audiences. Prior to joining NUI Galway, Kieran was a management consultant with Accenture, where he worked on a variety of projects across Europe and the US. (2008) The Inter-Networked World: ISD Theory, Practice, and Education. (2008) Proceedings of the 9th International Conference in XP and Agile Processes in Systems Development (XP2008). (2011) Motivating Agile Teams: A Case Study of Teams in Ireland and Sweden. (2002) An Investigation of the Use of Requirements Prioritisation in Web-Based Information Systems Development. (2002) Requirements Engineering for Web-Based Information Systems Development: An Empirical Study. (2003) Rationalism and Improvisation: An Investigation of Requirements Engineering in a COTS Selection Environment. (2009) The Paradox of Structured Methods for Software Requirements Management: A Case Study of an E-Government Development Project. (2016) Managing Flow Processes in Lean Software Development Practices. (2017) Openness'' with and without Information Technology: a framework and a brief history. (2010) Using Focus Groups & Post-it Boards in Studies of ISD Team Behaviour. (2009) Where Agile Research Goes: Starting from a 7-year Retrospective. (2008) The Transposition of the European Information and Consultation Directive in Ireland.